Samsung is going to unveil its new Galaxy Note series flagship Galaxy Note 8 in the official event on August 23rd in New York where we may also see the olaunch of some other Samsung devices including the new Galaxy C7 2017 with a dual rear camera and a couple of other devices as well. Samsung is also working on a new tablet that is expected to be launched with the name Samsung Galaxy Tab A 2017 and is going to have a model number SM-T385C or SM-T385M. 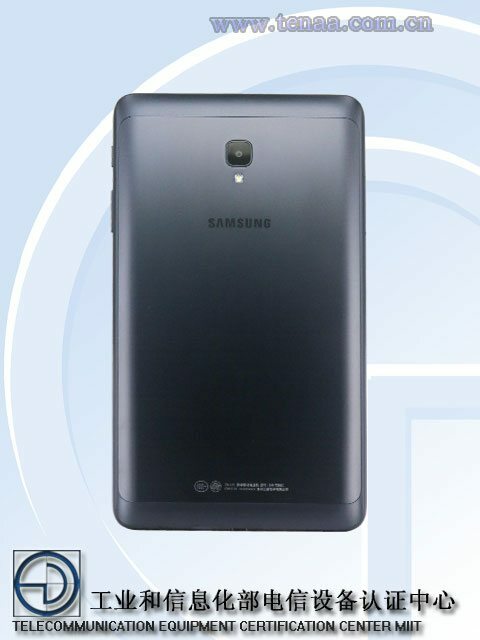 This Galaxy Tab has now got the TENAA approval bearing the model number SM-T385C and has leaked out its images, however, no specs details about the specifications of the tablet are currently available. The tab was previously spotted listed by GFXbench revealing its specifications. 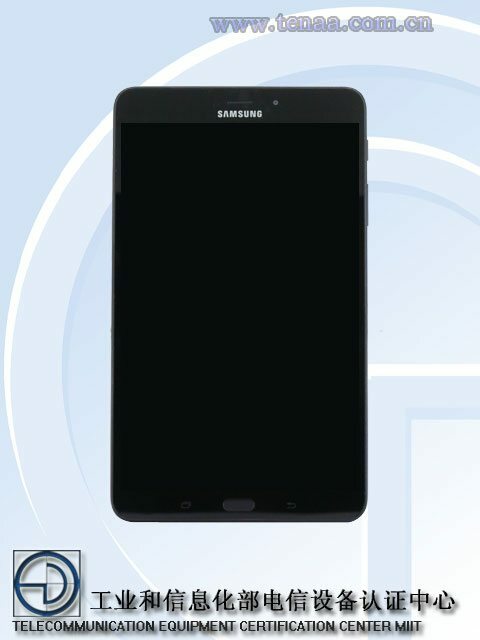 The Galaxy Tab A 2017 is listed at TENAA with a fingerprint scanner on the front along with a large 8-inch display which is expected to have a 1200 x 800 pixels resolution and it comes with the power and volume buttons on the right. The device was spotted at GFXbench with a 1.4GHz quad core Snapdragon 427 processor with the Adreno 308 GPU and it comes with 2GB of RAM with 16G of inbuilt storage capacity. The tablet will be running the Android 7.0 Nougat OS out of the box and will feature a 8-megapixel rear camera with an LED flash along with a 5-megapixel front facing camera. The leaked images of the tablet shows a fingerprint scanner on the front panel.